The inaugural Real Wine Fair is a wine tasting event, celebrating those in the wine trade who work organically or biodynamically in the vineyards and winery. 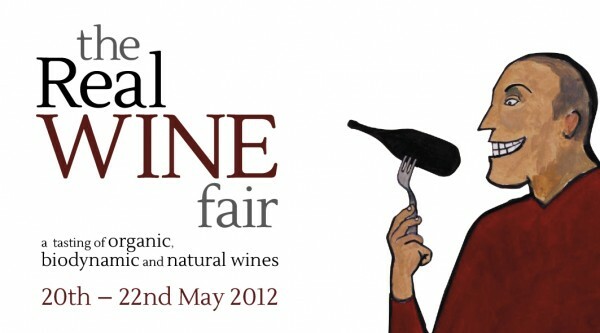 Over 170 growers and winemakers will be presenting over 600 wines, made as naturally as possible. Visitors to The Real Wine Fair can meet and talk to the winegrowers, whilst having the opportunity to taste a diverse range of honest, terroir-driven wines. And here is your opportunity to win a pair of tickets to this fabulous event. To enter this competition, simply leave a comment in this post stating your NAME and E-MAIL address as MrBloggs(at)gmail(dot)com by midday on Friday 11th May 2012. The lucky winner will be randomly selected using random.org and his/her name will be announced via Twitter (follow @thelondonfoodie) soon after midday on the 11th May 2012. If you do not use Twitter, I will also be publishing the winner's name here in the evening of the 13th May 2012. The winner of this competition, randomly selected by random.org, was Samantha Whitlam, entrant number 11. Well done Samantha, and many thanks for entering the competition.